There are laws governing what kinds of pets you can own and even laws requiring certain sizes or amounts of space for keeping certain animals. But did you know there are also laws that apply to specific breeds of dogs? If not, you should be aware. German Shepherds are especially targeted by laws because of their larger size. In this article, you’ll learn more about breed specific legislation and your German Shepherd. Laws will vary from state to state and region to region but this article can give you a general overview and help you figure out where you need to look next. Breed specific legislation is what it sounds like. They are laws that are passed which apply to specific breeds of dogs. This can range from laws that completely ban certain breeds to laws that regulate how big your backyard should be in order to keep a certain breed. The most heavily regulated breeds are in the pit bull class and the main purpose of them (in most cases) is to ban or regulate “dangerous” dogs. Unfortunately, German Shepherds often get lumped into this category of “dangerous” dogs. This is because they are larger and they are sometimes used in illegal dog fighting rings. This is unfortunate for you and your pet because these laws don’t always take into account that the “danger” a dog poses is largely guided by the way its owner raises it. That is, if you raise a dog to be a violent fighter, it will be a violent fighter. But if you raise a dog to be a lovable, cuddly pooch, it will be a lovable, cuddly pooch (no matter how “scary” it looks). How do you classify mixed breed dogs? Basing it purely on the breed they “look like” is very prejudice and inaccurate since the appearance does not dictate the behavior. Difficulty enforcing legislation. It’s expensive and difficult to actually try to make sure people are obeying these laws and law enforcers are less motivated to even bother because the benefits of these laws definitely don’t outweigh the cost in time, money, and manpower. Negative consequences: well-intentioned dog owners who can’t bear the thought of parting ways with their beloved pup just because it’s been declared “dangerous” by these laws will often hide their dogs indoors to avoid being detected. This also means avoiding proper vet care as they don’t want to risk being exposed and reported. This is bad for the dog’s health. All in all, these laws do little to improve the safety of dogs, owners, or the public as they are intended and they can have harmful consequences. We aren’t happy about these laws but they do exist. And they are worth being aware of (if anything so that you can advocate against them). 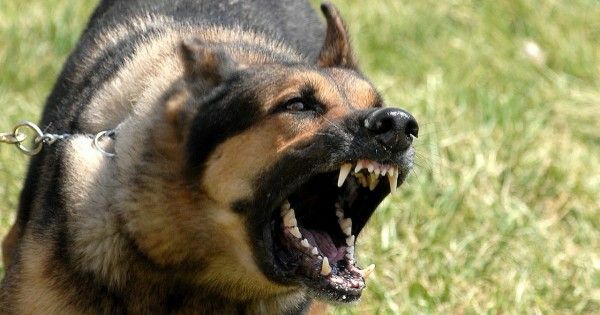 German Shepherds are most often targeted by bite laws because it is a common breed to use in military and law enforcement as a protection or guard dog. This usage gives them the reputation of being aggressive dogs even though this is just their training when they are used for such purposes. Furthermore, many mixed breeds that contain German Shepherd look very much like “pure” German Shepherds despite actually being a mutt. So when a dog bite is reported, such a mixed breed will simply be identified as a “German Shepherd” rather than as a mutt. This kind of inaccurate reporting further contributes to their bad reputation. As a result of this, largely false bad reputation as aggressive biters, some buildings or even whole cities will ban the breed completely. Failing a total ban, there are many laws requiring German Shepherds to wear muzzles when taken outdoors. Size restrictions. Many homes and apartments (primarily rentals) restrict pets based on size. If your dog is a service dog, they legally cannot ban it but if it’s just a pet, German Shepherds often don’t make the size cut because they are a larger breed. Noise laws. Local noise laws often lead to paying fines or even being forced to get rid of your dog if neighbors complain about the barking. Dangerous dog laws in many (but not all) cities and towns will include German Shepherds on the list. If a dog is determined to be “dangerously out of control” in a public place. This can be something as simple as barking or jumping up on people in public so you, sadly, want to keep your dog under extra control in public. - Complaints can lead to criminal charges and fines. Bites and injuries (regardless of the circumstances or the severity) can lead to your dog being taken away by the police and put down. It could even lead to a prison sentence for you or a ban on owning any dogs. You have the chance to persuade the court that your dog doesn’t deserve to be put down but it is an uphill battle if it has injured someone. All told, it can be risky to take your German Shepherd out in public unless it is highly, highly trained and in control of its energy and urges. Make sure it gets plenty of play time and exercise with you in safe, less populated areas so that it is not full of pent up energy by the time you take it out into a more populated area. Keeping your dog’s energy levels under control is your first line of defense against these often unfair laws. We also recommend going to dog training school so that your German Shepherd knows how to be on its very best behavior. It’s extra important that they are in control and calm in public because they are held to stricter standards than other breeds. When a Chihuahua barks and jumps on strangers, it’s considered adorable and harmless. When a German Shepherd does it, it could be illegal. Breed specific legislation can feel like an exhausting obstacle course if you own a German Shepherd but once you know the laws that apply, you’ll be able to avoid unexpected problems and issues before they catch you off guard. Don’t let anything come between you and your adorable German Shepherd! Make sure to do additional research with the local legislation in your area so that you can see if there are any specific laws to the area that differ from the ones discussed above.